Bear & Son Cutlery has introduced a handy new fixed-blade skinning knife called the SD82 Invincible Skinner. It features a Stag Delrin handle on the full-length tang and a 2¾-inch hollow-ground blade made from 440 high carbon stainless steel. The knife features a nickel silver bolster and measures 6 5/8 inches overall. It’s a handsome little model just right for field work, and comes with a genuine leather sheath. For more information, phone: 256-435-2227, on visit online at: bearandsoncutlery.com. 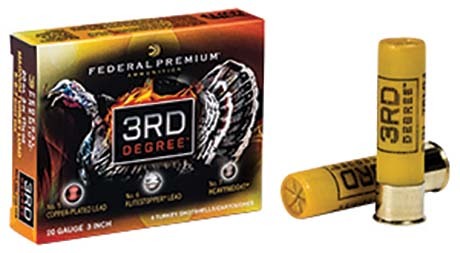 Federal Cartridge is offering a free Primos® pot call when anyone purchases any two boxes of 3rd Degree turkey loads through May 31 in either 12-gauge or the new 20-gauge. 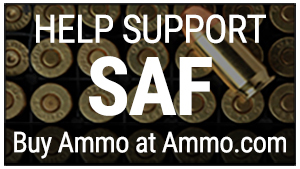 The ammunition features a multi-shot, three-stage payload for improved patterns at close range, while still delivering stopping power at longer ranges. According to Federal, “The pattern of No. 5 Premium lead, No. 6 FLITESTOPPER lead and No. 7 HEAVYWEIGHT® shot is maximized by the FLITECONTROL wad, which opens from the rear and stays with the shot column longer than conventional wads for full, consistent patterns.” Visit your Federal Premium retailer outlet for further details, or go online at: federalpremium.com. Putting out turkey decoys on rocky ground can be a challenge, especially in the dark when a bird is gobbling on the roost and you’re trying to hurry and get set up. The new All-Terrain Decoy Stand from H.S. Strut® allows for a quick and quiet set-up without having to put stakes in the ground. This Decoy Stand has three legs for stability, and a unique tip design allows the decoy to swivel for lifelike movement. It will work with most decoys on the market and breaks down for easy transport. MSRP $9.99. 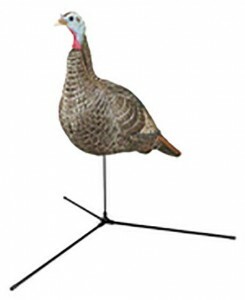 For more information about the All-Terrain Decoy Stand or other Hunters Specialties products, visit: hunterspec.com, or phone 319-395-0321. Most turkey hunters know that wild-turkey attitudes change from day to day, and that their responses may vary even hour to hour. Sometimes the birds like some subtle pleading, other times it might take a downright trashy yelp and aggressive cutting sequence to get their attention. Instead of sorting through a bunch of different calls, it’s easiest and best to simply grab a Flextone Turkey Man 3-Pack and be done with it. The Turkey Man— Eddie Salter himself —made sure it includes every diaphragm call you’ll ever need to carry into the field. The Flextone Turkey Man 3-Pack includes: Drama Momma for moderate rasp; Feather Cutter for seductive talk and Trash Talker for loud aggressive calls. MSRP is $21.99. 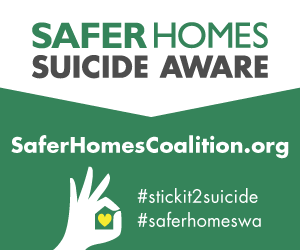 For more information, visit flextonegamecalls.com, or phone: 225-638-4016.